As mentioned last week, we will be diving into augmented reality (AR). Cell phones and tablets are the way AR gets into most people’s lives. An example is an app called Layar. It uses the smartphone’s GPS and camera to collect information about the user. Then, it displays information about nearby restaurants, stores and points of interest. In business today, it is very important to have seamless operations. Organizations are under pressure to keep pace. There are service standard expectations, such as same day/next day delivery, that have rapidly become the new standard. Companies are always looking for ways to improve their processes, as well as save money where possible. New and emerging technologies seem to be the direction businesses are taking to streamline their workflows and efficiency. Augmented reality is an interactive experience of a real-world environment. It enhances natural environments. Objects from the real-world are computer generated, across multiple senses, into a digital world. If you’ve watched an American football game, you have seen likely the down line portrayed as a yellow line that moved down the field. This is an example of an augmented reality application. The best part of AR is that it brings parts of the digital world into someone’s perspective of the real world. It displays not only data, but also immersive sensations that would be a part of the environment. Using AR technologies, information about the real world becomes interactive and is easily manipulated. How does Augmented Reality Help? AR uses computer generated information, along with real-world environments throughout your business, giving your employees valuable insights. AR helps businesses’ manage by increasing the speed and accuracy of retrieving data. Incorporating AR technology assists with being able to easily locate products, as well as simplifying and improving workflow processes. Having efficient operations will reduce backorders and errors. 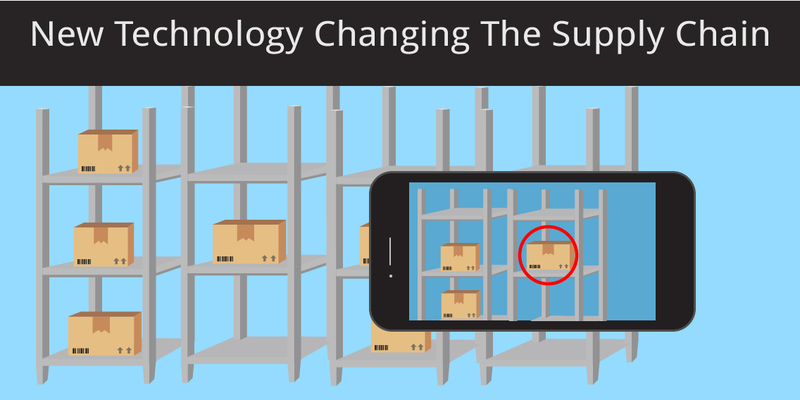 Incorporating AR assists with inventory management. Manual inventory management systems take up a large amount of time and are prone to errors. With new inventory management solutions, they do improve the processes, as well as limit errors, however they have limited flexibility and hardware can cost a lot over time. Integrating AR into your inventory management system will optimize workflows, reduce errors, and keep costs low. Here are 4 ways AR will benefit you and your business. AR assists shipping processes. It is an efficient way of locating products and packing them up. It is very difficult and costly to train new workers who are constantly coming and going. An example would be AR glasses. They can show imaginary lines on the floor to help simplify the searching process. AR helps with the learning curve by providing constant feedback in regards to how they can improve. Field tests of AR pick-and-pack systems have reduced errors by as much as 40%. AR notifies the carriers with instructions and shipping times, once the items are picked and packed. Another benefit of using AR is maintenance. AR is assisting with maintenance for businesses by comparing data. The algorithms AR uses, suggest what fixes should be made before a problem is likely to occur. Last mile delivery is when your item is en route to the customer. This is the most expensive step in logistics. Delivery drivers spend 40%-60% of their time searching for the right package to deliver next within their own truck. Using AR in this final step will identify, tag, and locate each package. Therefore, the driver can efficiently deliver all items. Finally, AR is bringing transparency and traceability to procurement. This helps your customers know where your products are coming from and that they are made in an ethical way. AR identifies and tracks each shipment from the manufacturer, to your consumers. Not only does it help your business trace your product, but it also helps with your relationship with your customers. AR can be a very useful tool for your business. It helps to save money and to be more efficient in your day-to-day processes. Keep an eye out for next week’s blog to learn more about virtual reality! To learn more about how Augmented Reality can help with Inventory Management Solutions, schedule a Demo today!